A Talk with Palestine’s Ambassador to the UN. ADC Convention Panel: We Count Too! A Conversation About the 2020 Census. ADC Convention 2018: Rising Above Hate and Combating Systemic Discrimination. Sean Penn to Keynote ADC Convention. 21st Century Orientalism: Portrayal of Arabs in New age of Media. Trump’s Closing of PLO National Mission Continues to Hinder Peace Process. ADC Convention 2018: Activate. Empower. 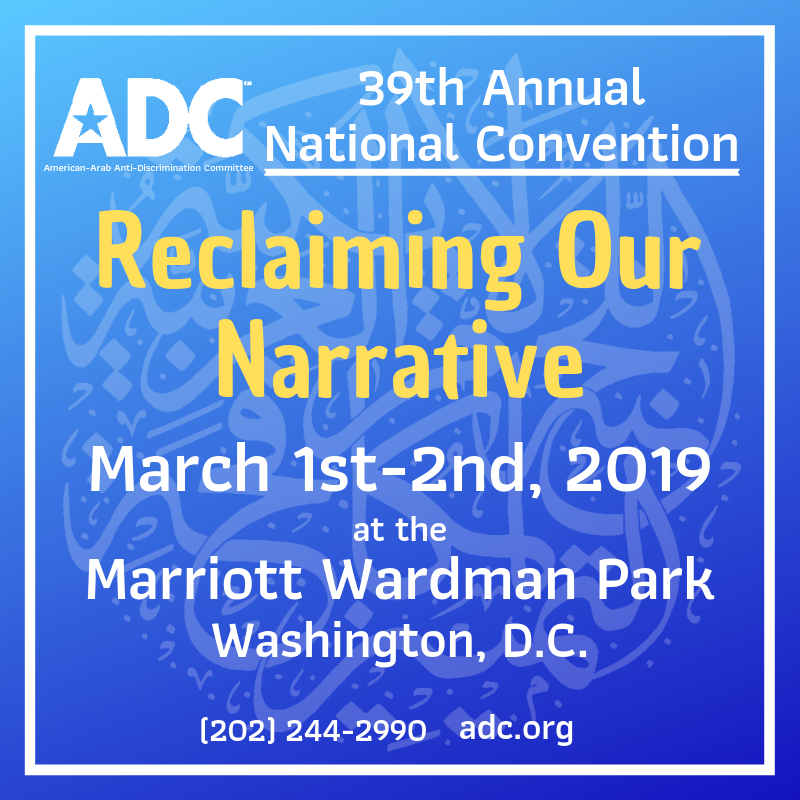 Build..
ADC 39th Annual National Convention: Reclaiming Our Narrative!.